Often referred to as “silver” fillings, they are placed predominately on back teeth due to their strength and longevity. 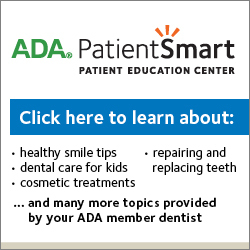 Amalgam fillings are soft when first placed and take 24 hours to fully harden. It is normal for a patient to experience cold, hot, and/or chewing sensitivity for several weeks following placement. These are the fillings that are commonly referred to as “white” fillings. They are typically placed on front teeth but can be used in the back teeth as well. They are placed soft and immediately hardened with a blue light. It is normal for a patient to experience cold, hot, and/or chewing sensitivity on for several weeks following placement.